Roses are red. April is grey. What is it today? It’s gonna be May! The birds are singing, the sun is shining and the warm weather is finally here. We’ve got a list of events for you that are sure to make your May a rockin’ start to a Summer of Greatness. May 1 marks the official start of the season on Pelee Island with daily bike and wine tours offered and Dolley the Trolley cruising around. If birding is your thing, than May is your month. 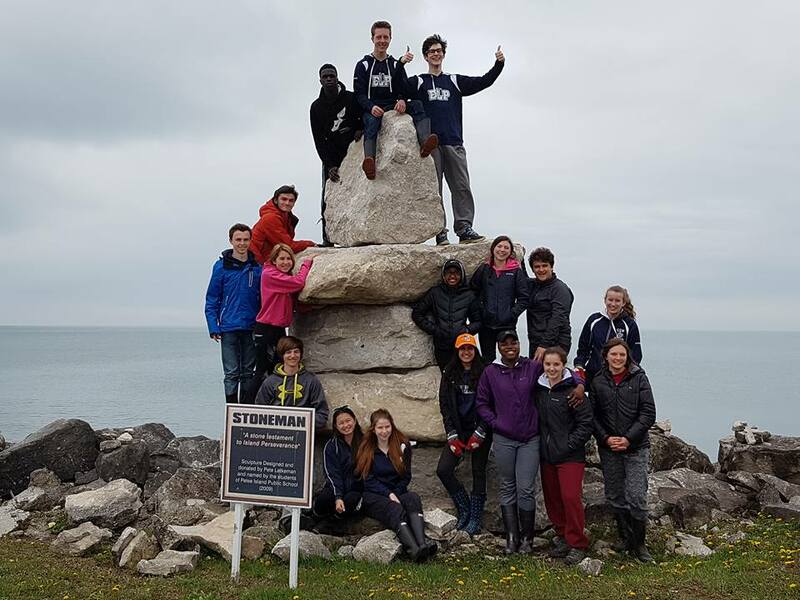 An amazing migration takes place in the region with Pelee Island being an active stop for many rare species. And just in case you missed it, we sat down with Anne Marie of Explore Pelee and talked a bit about life on the island. The start of the Friday Night Lights season kicks off on May 4, 2018. Being in Canada’s banana belt, warm weather also brings what seems like a never-ending slate of fun, unique events. Friday Night Lights is one of those experiences. It’s a free cycling event where you can enjoy the sight of hundreds of colourfully lit cyclists roll by, bells clacking, as they partake in a pub crawl on two wheels appropriately. Participants always try to outdo each other with their decorations on each ride. If you pay close enough attention, you may catch a glimpse of the couple on a tandem bike which has custom built chandelier installed to hang over them as they ride. We have bicycles for rent to those that want to participate. 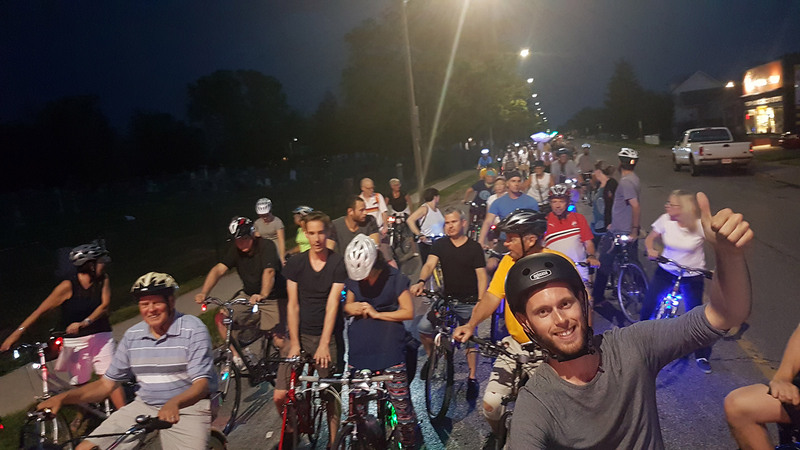 Riders begin the gather at 7:30pm in Willistead Park with the ride beginning at 8:00pm. The schedule for the first ride is sure to be a good one. The ride takes place every two weeks. On Saturday, May 5, enjoy an exploration of the history and menus of the best restaurants in Windsor’s core. Meet at 4:00pm at the Big Flag at the foot of Ouellette Avenue on Windsor’s riverfront. 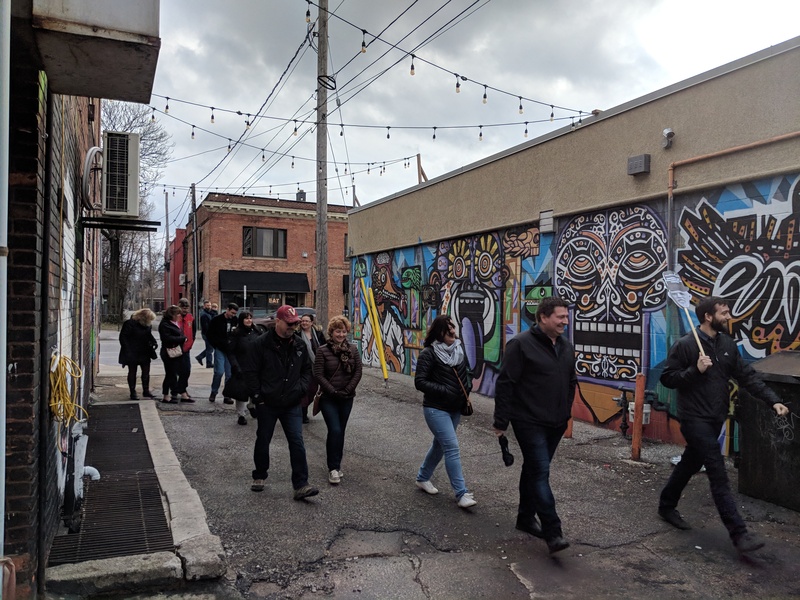 Jane’s Walks are free, citizen-led walking tours that make space for people to observe, reflect, share, question and collectively re-imagine the places in which they live, work and play. It’s time for your favourite Cinco de Mayo party in Windsor! Mi Casita will be the place to be all day and night to hang out, enjoy their homemade pupusas and put back a margarita. After 11:00pm they’ll even have an open dance floor with a DJ. 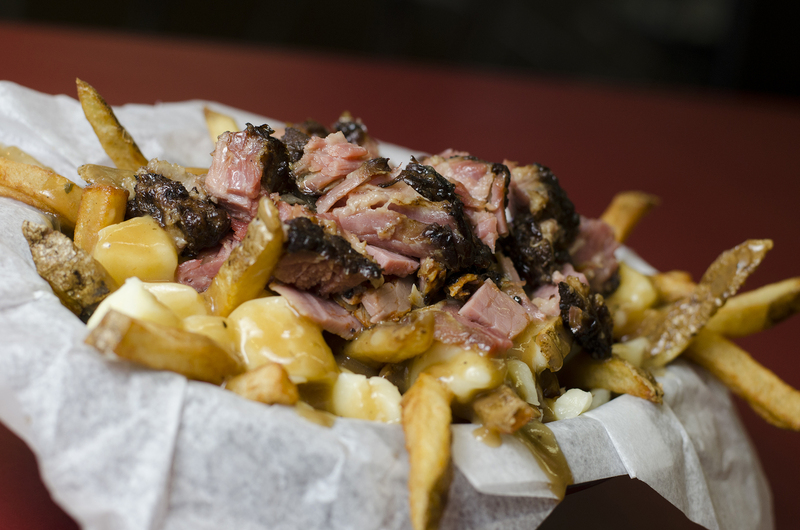 A Montreal smoked meat poutine at Malic’s Deli in Windsor, Ontario. Get your cheese curd cravings ready because we’ve got a true Canadian tour for you! The Great Canadian Poutine Experience will take guests on a stroll through the streets of downtown Windsor. Affectionately known as “The Poot Route”, explore the flavours and folklore surrounding Canada’s most iconic dish: the poutine! On the world’s first poutine specific tour (or so Google tells us), you’ll take in an authentic Quebec-style poutine and sit and chat with a chef who’s a Montreal native. 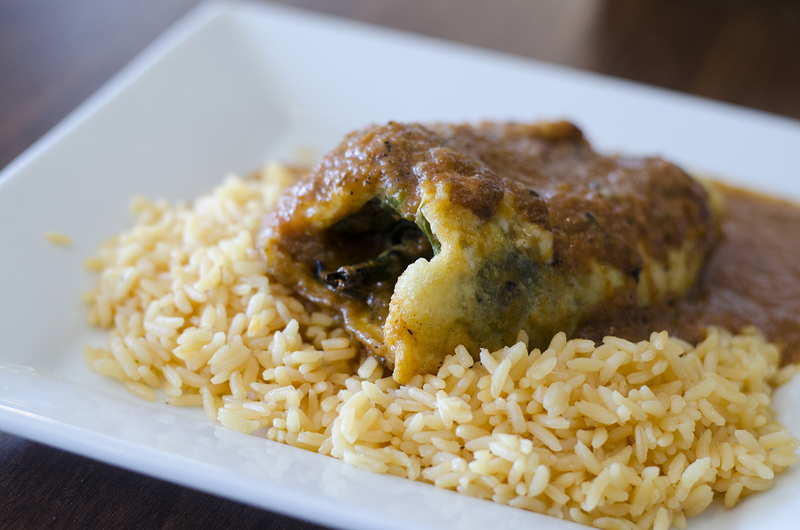 You’ll then take in a true Windsor, multicultural spin on the classic Canadian dish. We are Canada’s fourth most ethnically diverse city, after all. Along the way, learn about some interesting, long lost tidbits of Canadian history. Tickets are $45 each. On Thursday, May 24, enjoy a traditional seafood boil during our 2018 Dinner on a Beach while overlooking Lake St. Clair, mingling with friends old and new at a long, communal dinner table and taking in live musicians who will be entertaining you during and after the meal. A cash bar will open at 7:00pm with dinner to be served at 7:30pm. Tickets are $135 per person. The 2018 seafood boil is going to be bigger, better and a seafood lovers paradise. We’ve once again brought on chef Ted Dimoglou of Tiki Sushi to fire up a big pot on the beach for an intimate, family style feast along the shores of Lake St. Clair. 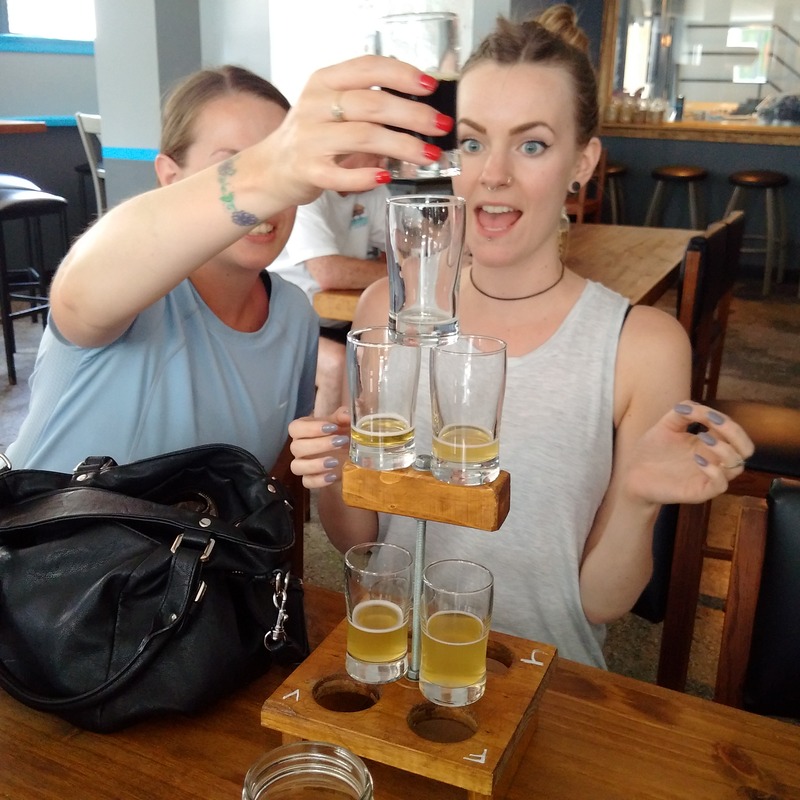 It’s all fun and games on the Bikes & Beers tour! Get on your bikes and beer! We mean ride! May 19 marks our first Bikes and Beers tour of the year and we couldn’t be more excited. Why? Well, because it’s beer and we’ve got some new breweries since last year to visit! Tickets start at $70 per person. Taking in the street art on a Drinks of Walkerville Experience. They’re back! We’ve been getting calls and messages non-stop, so after a short hiatus the Drinks of Walkerville experience is back! Enjoy a hands-on tour of the Hiram Walker & Sons distillery, learn the history and brewing process of Walkerville Brewery and enjoy street art and craft cocktails, all while learning about the the unique history you’re seeing and tasting. Pouring wine at Aleksander Estate Winery on a Wine Trail Ride. Our first Wine Trail Ride Cycling Tour is scheduled for May 26th. 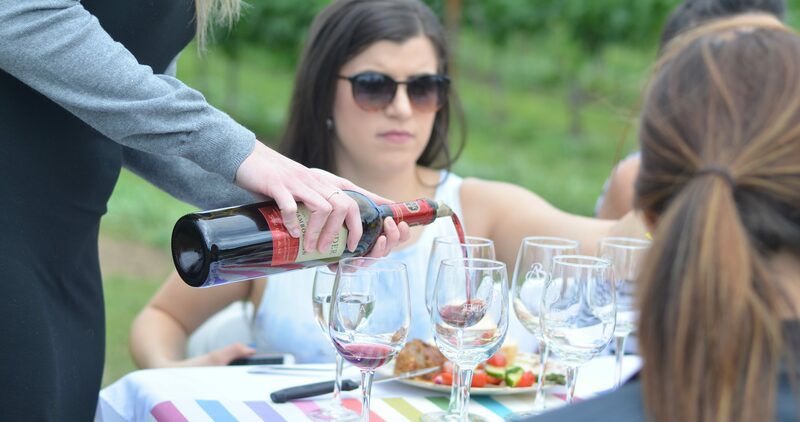 Hop on the Best Culinary Tourism Experience in Ontario, visit 3 wineries and enjoy a long table dinner in the field.